Wei grinned at Hadakha, feeling lighter. "Ken-Ken told me that you went to the...the Red Bird Temple," she told him, awkwardly translating into Orcish. "When are the monks coming?" Hadakha's face pulled into a deep scowl, and Weipon was so shocked at the fluent Pandaren that came out of his mouth that she almost missed the actual words. "There will be no help from the temple." "Senpai!" Ken-Ken joined in. He rushed to the tauren's side. "No help from temple? Why not? Monks can't be that busy, only burning incense and praying every day." The druid shook his head sharply, cutting off any further questions. "No one is coming to help." He took in the sight of Weipon and Ken-Ken, covered in gore, and Mei as she tidied up after them. "It seems you have begun without me. Let's finish this." Rather than split up, they decided to take on the sha together, decreasing the amount of time it took to defeat them and saving them from having to spend more time in contact with the vile creatures. It also allowed Mei to follow them, ushering disoriented, weakened pandaren safely into their homes to rest. They returned to the place where Weipon had gotten the medicine for Akabeko. The healer inside had moved from her perch behind the counter to an upholstered chair by one of the windows. Weipon brought a mask to her, moving slowly and deliberately with it, but the woman didn't take her gaze from the gray morning light outside. The mask worked immediately on her, and Hadakha drew the newly formed sha to him with a flash of moonfire, waiting to shift into his feline form until they were free of the cramped space. The pandaren slumped against the chair, looking deathly still, and Weipon motioned for Mei to hurry even as she chased the sha outside. As the trio toppled the monster, Mei rushed to the door, giving Weipon a tortured look. "She's barely there," she cried. "I can hardly feel a pulse, and her breathing is weak!" Hadakha quickly shifted back into his tauren shape and strode into the building, incandescent leaves already coalescing around his hands. He gestured once, twice, then nodded in satisfaction, leaving Mei to stand gaping at the rapidly recovering pandaren. The finally reached Mei's home, and finally some impatience showed through her cooperative veneer. "He's just in his room, laying around," she said, directing them to where Yi-mo was sprawled, lamenting his existence. Without asking, Mei grabbed a mask and held it to her nephew's face, whispering words of comfort. Yi-mo cried out, batting ineffectually at Mei's hands, but the mask was already taking effect. The sha slipped from him, more wily and energetic than the others had been, and darted deeper into the house. Weipon leaped after it, accidentally upending a decorative lamp in her haste. She landed firmly on top of the sha, feet sliding wetly across its writhing flesh, and began to punch down. When it had stopped moving, she grabbed fistfuls of its oozing, greasy mass and hauled it matter-of-factly outside, where she threw it on the ground in the street. Ken-Ken immediately set upon the stunned sha, followed by Hadakha roaring and charging into the fray. Weipon turned and was shocked to see Yi-mo standing in the doorway with Mei, staring in horror down at the gore left behind by the defeated sha. He looked completely different, now that he was back to himself. Mei answered for them. "It's the same thing that's taken hold of the rest of the village. It made everyone want to lay around and wait for death. Even you tried to..." She stopped and shook her head. Yi-mo frowned. "I don't remember much of what happened. How long was I under its control for?" Mei continued to explain, but Hadakha turned to Ken-Ken and Weipon and spoke quietly. "Those sha are draining my strength every time we fight one. I'm guessing it's the same for you two as well, eh?" Weipon nodded in agreement. They had been fighting for hours, and she was not only physically tired, but also mentally drained from the effects of the energy-sucking sha. She was all too eager to to take a break and wait for her good humor to return. “Let's take some time to get our strength back. Why don't we split up and check the town for any other sha-influenced pandaren we might have missed? We can meet back at the inn, get something to eat, and then take care of whoever is left." Both of her companions nodded wearily. They left Mei to take care of Yi-mo and split up. Weipon had grabbed one of the mask bags, not wanting any of the remaining pandaren to find it and use it without any of them around to help. She could feel the few remaining masks bumping against her hip as she walked. Considering how few were left, she didn't imagine that there were many afflicted pandaren still waiting for their help. There was, however, one other person Weipon knew they would have to test a mask on. 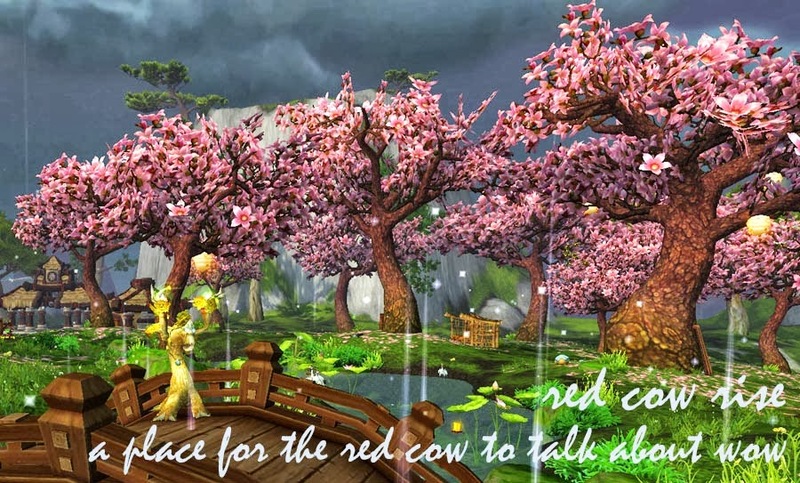 Her heart sank and her footsteps dragged as she weaved her way down the streets of the village, looking for possible sha-controlled pandaren on her way to the inn. Finally, having seen no neglected pandaren on her way, she found herself in the doorway of the inn. Barely glancing at the innkeeper, she trudged up the stairs to her room, hand hesitating on the doorknob. Once she opened the door, Weipon was assaulted by the stench of rot. She recoiled, gagging, and looked down as Fu darted out of the room, only to hover near the doorway, barking frantically. Weipon quickly shut the door, and Fu began to scratch at it from the outside. Hands shaking, Weipon backed away, retreating down the hall and standing near a window to soak in the weak light. She couldn't seem to catch her breath. There was definitely something wrong with Akabeko, and she was completely terrified of finding out what. She should have done something, anything, before it could get to this point. She had only come here because Akabeko was guiding her, and now she might be alone. Weipon felt disoriented, disconnected from herself. She sat down heavily, knocking the masks against the wall. Fu crept towards her, staying just out of reach. The smooth wood brushed against her fur, tickling her cheeks. She inhaled, smelling the glue and charcoal that had gone into constructing the mask, but felt no sudden pull, no desire to press the mask against her face until it sucked out the unnatural despair that might be plaguing her. Abruptly, Weipon let the mask fall into her lap. "That's a relief," she whispered. Fu was suddenly beside her, rubbing his face against her legs until she began to pet him comfortingly. "I guess that means I can deal with this on my own," she told him, earning the first tail wag she had seen in days. "What are you doing?" Hadakha had come up the stairs and was looking at Weipon with concern. He rushed to her side, taking the mask from her hands. "Weipon? What did you do?" "I...I tried on one of the masks," she answered honestly, climbing shakily to her feet. Hadakha steadied her, peering into her face inquisitively. "Nothing happened," she clarified. "You find any more sad pandas, Weipon?" Ken-Ken asked, joining them in the hallway. "Ken-Ken find one sleeping outside in bushes, but Senpai helped take care of him." "I didn't see anyone else...on the way here, anyway." Hadakha looked sharply at her. "What do you mean by that?" Weipon sighed. "I think Akabeko is also afflicted by a sha. The way she's been behaving...if it's not a sha, then I don't have any idea how to help her." She brought them to her room and pushed open the door. Hadakha wrinkled his nose and immediately instructed Ken-Ken to go downstairs and warn the innkeeper. Fu danced around in agitation, staying barely clear of being underfoot. Hadakha looked at Weipon, noticing her hesitation, and held out his hand. "Would you like me to do it?” He asked gently. Weipon silently handed him a mask, stepping back in preparation of dragging the sha outside and into the street. Hadakha stepped over to where Akabeko was laying, completely still, and pressed the mask to her face. She let out a sound somewhere between a scream and a sob, jerking away from Hadakha, but the mask had already affixed itself to her and was gushing black smoke. For the first time, Hadakha seemed surprised, and stepped away from the bed, hands unconsciously curling into claws. Smoke continued to pour from the mask, filling the room and forcing Hadakha to retreat into the hallway with Weipon. Finally, it began to coalesce, white-hot eyes winking into existence above even the tauren's head. The sha was so large that it completely filled the room. Hadakha blasted it with a flash of moonfire to get its attention, then followed Weipon down the stairs. She moved quickly, looking over her shoulder in order to watch the sha ooze its ungainly body out through the tiny door. Its shadow flesh stretched and squeezed itself through the doorway, looking briefly rectangular before it reformed into its typical shape. Sure that they had its full attention, Weipon turned and ran, leading the sha through the common room and out of the inn's door. She ignored the innkeeper's shout of surprise as the sha oozed its way through the inn, leaving behind a foul-smelling trail of slime. Just as Weipon was reaching the base of the stairs leading to the inn, the sha lashed out, catching her leg and dropping her to her knees. Even with that small touch, she felt an overwhelming grief, and tears sprang unbidden to her eyes. Gasping, she regained her footing and ran to join Ken-Ken, who was watching this extremely large sha with apprehension. Acting quickly Hadakha pinned it in place with grasping thorns, summoned from the ground, and Weipon flicked a bolt of lightning at it, hoping to shock it. Ken-Ken darted in below its questing arms to attack from the rear. With Hadakha's providing cover with bolts of energy, Weipon faced the sha head-on, pummeling at its putrid flesh and trying to ignore the all-consuming sadness it forced upon her. Distantly, Weipon could hear Ken-Ken openly sobbing. "Why sha gotta make Ken-Ken so sad? Now we all outta funny hozen masks; how Ken-Ken gonna laugh again?" Weipon choked out a laugh, feeling an almost hysterical grin spread across her face even as her eyes streamed with tears. She felt the featherlight, warm touch of Hadakha's healing magic repairing a wound she hadn't even noticed, knitting the flesh on her arm back together neatly. Her legs felt unsteady, almost unable to hold her under the weight of the despair. There was the sudden pop of splitting wood, and then Weipon found herself joined by three strange treelike creatures. They tore into the sha, grunting aggressively even as the sha's corrosive flesh burned and warped their seeking fists. "Get out of there!" Hadakha called, and Weipon was only too happy to obey. She stumbled away, trying to shake off the sha's effects, and resorted to kicking balls of energy at the shrieking creature. Ken-Ken, having no other ranged attacks, was throwing nearby rocks. Hadakha's minions were consumed by the sha one by one, but at long last, it gave its dying shriek and burbled into the ground, creating a steaming, bubbling puddle that all were hesitant to step in until it subsided. They paused, catching their breath, until Weipon struggled to her feet and limped purposefully towards the inn. "We have to see what happened to Akabeko." IIICK! Glad they got that thing out of Akabeko at last. But what happened to *her*? Aaaaaa I hope she is ok! !